Alright veterinarians, vet techs, practice managers, and pet health professionals of all sorts, are you ready for a mind-blowing statistic? Take a seat for this one, it’s a doozy. The average veterinary clinic is missing out on $123,000 of gross revenue due to inefficiencies in phone-based customer service. 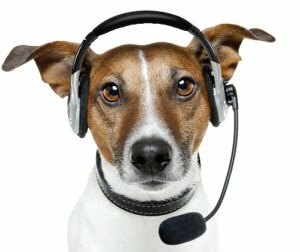 We’re talking boatloads of annoyed or impatient folks giving up on attempts to contact your practice, not because the front desk is struggling, but because it’s just impossible to provide pet owners with the instantaneous gratification they expect - a sisyphean task even for the most experienced front desk administrators. All this adds up to a desperate need for alternate channels of communication between owners and vets. And while this is a newer concept in veterinary medicine, it’s been a known fact in business-related customer service for years: Only 14% of call centers are phone-based, while the rest offer multi-channel service with e-mail, text messaging, in-app support, and/or video chat. We’ve spoken before about the detriments of placing users on-hold, click here to read more. And we happen to know of an app that was created specifically for veterinary practices to reduce the number of incoming phone calls, eliminate the need for fax, and simultaneously increasing the number of pet owners served: VitusVet, of course! Not only can a veterinary smartphone app be always available, even during closed hours (according to VitusVet’s analytics, we’ve seen hundreds of users scheduling appointments online between the hours of 11pm to 4am), but it gives pet owners - particularly those of the Millennial variety - freedom to choose their preferred contact method. With some of the call burden eased from the front desk, administrators can provide even better service to those who still prefer to call! VitusVet is so convinced that multi-channel customer service is crucial to the future of veterinary medicine that we are currently developing a companion app that will allow vets to securely text and picture message clients! Imagine how appreciative worried owners would be if you sent a picture of Fluffy entering surgery, exiting after a successful procedure, and upon recovery from anesthesia!